‘A Small Island of many people’, wrote S.J. Thambiah, in his lucidly written book, “Sri Lanka–Ethnic Fratricide and the Dismantling of Democracy”, ‘ whose political machinery is running down in an environment of increasing fragmentation and factionalism. The hopes of yesterday…have become fast evaporating fantasies’ . Peter Kloos in ‘Democracy, Civil War and the Demise of the Trias Politica in Sri Lanka’, attempts to understand how and why such hopes and aspirations of the people of Sri Lanka, became mere fantasies. The author starts by noting that in 1947 Sri Lanka seemed to have all that was needed to transform itself into an independent democracy and few post-colonial states had such a favourable point of departure: It had already had an elected parliament for more than a decade and a half… [It] had universal suffrage earlier than several European states. It had a high rate of literacy and also a newspaper tradition of a century and a half. It had a well-established, island-wide legal system and it had, inherited from the British colonial government, a Public Service… that was virtually free of corruption. It was finally, one of the most affluent countries in Asia… This made possible a welfare state with island-wide free medical care and free education. He queries ‘So how does one explain the transformation from a promising democracy in the 1940s to the state of the present?’ and continues, “the introduction of the majoritarian model of democracy rule in Sri Lanka chosen already during the late-colonial period paved the way for political forms that were undemocratic in the moral sense of the term. In the end this led to violent opposition – and to dismantling of democracy…. The democratic process as a way of handling conflict failed and government rigidity led to violent opposition. The government answered in kind and in the ensuing life-and-death struggle began to manipulate both legislation and the judiciary, presumably to create greater freedom to fight its enemies. By doing so it contributed to further escalation of violence. Far-reaching decisions regarding the political process are based on political expediency rather than on fundamental discussions of democratic rule”. This note aptly sums up the pitiable situation faced by the people in our Paradise Isle. Do not confuse, they say, motion and progress. A rocking horse keeps moving but does not make any progress. Yes! As we commemorate another anniversary of our Independence from the British masters, it is true enough that material development is visibly seen in many fields and areas. But, as a nation 68 years after gaining Independence, we have failed in no uncertain terms to build our nation and progress in qualitative terms – to build a sense of common identity and a sense of unity. 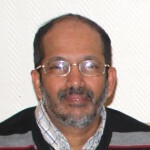 Majoritarian attitudes in statecraft, inability to accept the multi-cultural, multi-lingual reality of our nation and lack of political commitment in creating ‘Sri-Lankan-ness’ in our people have paved the way to the continuance of an environment of increasing fragmentation and factionalism since Independence. In contrast, the vicious attempts by fringe Sinhala Buddhist extremist elements to infuse fear and a sense of insecurity among the other communities have led those ‘other’ to think and act like aliens in the country of their birth. In this context, what is needed today are not slogans of division like Sinha-ley or displaying distorted versions of the Sri Lankan flags or extremist hate movements to draw battle lines between communities, but to ensure that we endeavour to build a sense of pride in and loyalty in our people, to a common Sri Lankan identity/brand. There should be national discourses and a well-orchestrated ( not ad-hoc) social marketing campaign on this theme in schools, in universities and social networking sites in this regard exhorting our people irrespective of racial and religious differences to put ‘country before self’ and promote ‘live and let live’ attitudes in their lifestyles. As a Muslim, I am proud of the visionary approaches of our early Muslim leaders, especially during the latter stages of our Independence struggle, which helped significantly to charter Sri Lanka’s way to Independence from British colonialist masters in 1948.Fast forwarding the time clock 68 years later, and comparing those leaders of statesmen calibre with today’s array of Muslim politicians who use community interests to gain their own vested interests ( about whom the lesser is said, the better), aptly sums up the degeneration of political values and culture during the last 6 decades. Of course, this process of political degeneration has been on a national level, and applies to the political leaders of other communities too. There was more class and polish in those leaders of yesteryear. Muslim leaders at the time of Independence, did not lose sight of the national priorities whilst gaining immense benefits and rights for their community, due to their balanced approach and political maturity to see things ahead of time, without harping on narrow community interests. The Ceylon Independence movement was a peaceful political movement which aimed at achieving independence and self-rule for Ceylon from the British Empire. The British government insisted that three quarters of the population should support the demand for independence to ensure the rights of minorities were protected. With the Sinhalese community as a whole constituting less than three quarters of the population this was an impossible demand to fulfill unless the minorities supported. The visit of the Soulbury Commission and the final Soulbury Report did much to reconcile the minority communities with the Sinhalese leadership under D. S. Senanayake. The Muslims participated in the demand for freedom from British rule without any hesitation and in full strength through their organizations. Social analysts noted that crucial Muslim support facilitated the process of Sri Lanka gaining independence from British in 1948 and help end almost four and half centuries of European colonial rule in the island. They requested the colonial administration to leave Sri Lanka and that the Muslims standby with the Sinhalese in their quest for Independence and that the Muslims would mutually resolve any outstanding issues between the Sinhalese and Muslims. Many still remember the leading role played by Muslims leaders such as Dr. T.B.Jayah, Sir Razik Fareed, Dr. M.C.M. Kaleel and Dr. Badiduddin Mahmud for their enthusiastic support for the demand for independence and never obstructed the political progress of the country. 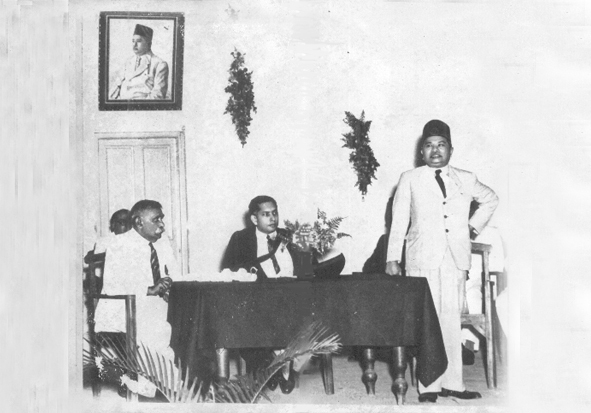 Addressing a gathering at Zahra College grounds under the chairmanship of Sir Mohamed Macan Markar to protest against the inadequate representation of Muslims in the Legislative Council Dr. Badiduddin Mahmoud, the Secretary of the All Ceylon Muslim Political Conference said on 5 March 1939: “Let me assure my Sinhalese countrymen that I am one among them in demanding complete freedom for our country. They can count on me as one of the most ardent admirers of their legitimate national and cultural aspirations. In me and in my community, let them know that they find the most trusted friends and kind neighbors in this island. They would never find wanting in me or in my community that unflinching loyalty and patriotism that this little island would demand one day from its sons and daughters to carve out a niche of fame for itself as a self- respecting unit in a world federation. Let me also assure my Sinhalese friends that the brave community to which I belong shall never consider any sacrifice too great to make Lanka a happy, prosperous and glorious country in the world where not one section of its population but every son and daughter of her soil shall legitimately take pride in her glorious destiny”. Dr. Jayah said during the Debate “I speak with the full support of members of the Muslim community of Ceylon. I saw to it that the Muslim community was consulted with representatives in different parts of the country on the important issue before the House; and I am in a position to say that the Muslim members of this Council have the fullest backing of the Muslim community of this Island. When the Muslim members of this Council decided to take a definite stand at the time the ‘Sri Lanka Bill’ was introduced, they did so for one and for one reason only. The reason was that where the political freedom of this country was involved, they were prepared to go to any length, even to the point of sacrificing advantages and benefits as a result of such action.”In keeping with this policy the three Muslim representatives in the State Council extended their whole- hearted support for the “Dominion Status Bill” – a Sri Lankan bill sponsored by the late Mr. S.W.R.D. Bandaranaike when it came for the vote on 9 November 1945. T.B. Jayah and Dr. M.C.M Kaleel spoke in favour of the bill while Sir Razik Fareed and Dr. Kaleel voted in favour as Jayah was not present during the time of voting. Tamils leaders too supported the motion. Expressing his gratitude to the Muslim members on behalf of the Sinhalese community, S.W.R.D. Bandaranaike assured that he would consider any reasonable request by the Muslim community. Bandaranaike . He said…’ What have the three members, T.B. Jayah, Dr. M.C.M. Kaleel and Razik Fareed, have done? There is provided in the Bill a Scheme of Representation under which the Muslim community in this country might suffer in the form in which it appears, but yet, he himself so sincerely determined to work for the main idea of freedom that he was prepared to vote for the principle embodied in the Bill”. Gaining freedom was the joint effort of all communities, all of whom subscribed to the idea of an independent Ceylon, on the basis of equal rights to all and not on a majoritarian platform. This is just an example of how our leaders of yesteryear showed how important it is to adopt a unitary approach to achieve higher ends. Of course, the national political leadership did not keep up all their promises made at that time. Abrogation of Clause 29(2) of the unitary constitution of 1948, in 1972 was one such issue. (Prof G.L. Peiris (1997) said: ‘…It was on the basis of this safeguard that the Tamils acquiesced in the granting of independence in 1948…). However, such broken promises are part of the process of degeneration of the political culture and we should not hold it further as another obstacle in coming together. Aren’t we all much wiser now by the experience as not to repeat those historic blunders? Little can we achieve if we harp on narrow petty communal issues overlooking national imperatives, especially when we are in the process of formulating a new constitution. This should be a constitution to build mutual trust among communities and togetherness; not further promote politics of division. The earlier we realize this reality, the better for all of us, whether Sinhalese, Tamils or Muslims; certainly better for our next generation of Sri Lankans. Dr. Jayah said during the Debate “I speak with the full support of members of the Muslim community of Ceylon. therer are no such muslim snow, Now, they are wahabis and they want to islamiza the country at the expense others. they are ready to blow up for that and get the 72 year old virgin woman. i remember recently how I gave you a brotherly advise to take treatment at the closest psychopathic clinic . I think that you have either not gone there/ not taking the drugs on time OR gone bonkers due to overdose. If you read this article you will realize that it was not an article on Muslims, ; it was one which exhorts our nation to come together and stress on national priorities rather than mere priorities of a community. Your racist mindset knows no bounds always trying to harp on racist aspects rather than arguing on an intellectual plane. So this is not a forum for you; settle down for an assistant post to Gnanassara! These are the lost opportunities and effect of Ethnic Nationalism. The Leaders have failed. The Country needs a leader or leaders with Guts, like Mustafa Kamel Ataturk of Turkey. 1. Sri Lanka or Just Lanka.Sri Lanka has lost its right to call Sri. 2. Need New Flag. Square, Blue Ocean and Green tear shaped Island, with the hills and the picture of the Native Veddal Aethho. After all this land belongs to the native Veddah Aethho. 3. The national anthem is shortened only to the First part. It is sung in Sinhala, Tamil and English. 4. Separation of Temple, Mosque, Church and State. Secular. Protection for all religions to practice their faith including Agnostics and Atheists, Idolaters and witches. 5. Stiffer punishments for racial and religious based violence in the Criminal code. Will there be a Mustafa Kamel Ataturk in Sri Lanka? Will they continue to keep the Para-Sinhala Buddhist “Caliphate”?